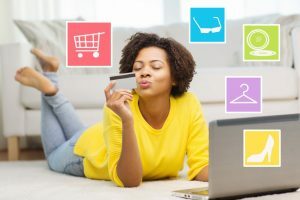 Customers want to keep purchasing and advocating a company they like. Not only does this method make selecting a product a lot easier, but it also means that consumers can count on a product that they trust. Here are five ways to retain and attract consumers that will keep them buying your product or service. Understand them – Understanding your consumers will make them love and stay loyal to the product or service you offer. Start your search with good quality data. Use predictive analytics-based technology to analyze your customer data. The information you receive should provide a deeper understanding of the needs of your consumers. Build relationships – Track consumers through their life cycle by offering them communication and products at each stage. Stay relevant – Consumers want easy and fast ways to find and purchase suitable products. The best way to make this happen is to send recommendations based on purchase history and online behavior. Timing – Timing is everything, and you want to catch your consumer when they are most engaged and ready to purchase. Look at data science and work out what time of day your consumer is most engaged. You can also remind your consumer when they should consider making their next purchase. Keep the conversation flowing – Keep the two-way discussion flowing to create a face for your company and brand. Open a platform for your customers to speak out and use this platform to gather feedback and improve your offerings.